At iHear, our results speak for themselves. 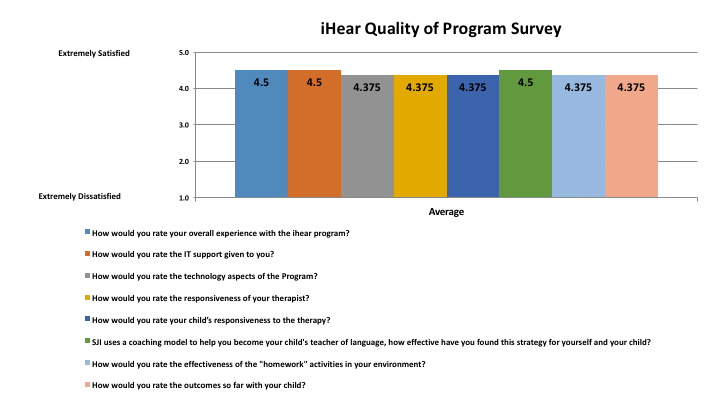 Every six months, we evaluate iHear students’ listening and language skills to monitor growth. The graph below shows the percentage of children who increased growth scores by age. 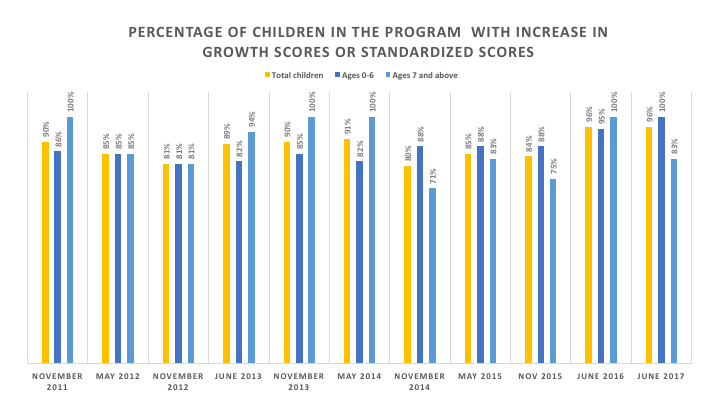 In June 2017, 100% of children in iHear showed an increase in growth scores. The numbers show the effectiveness of iHear, and our parents see the results firsthand, from their living rooms, from their children’s classrooms, and from their playgrounds. With nearly 20,000 sessions all across the United States and the world, iHear is a leader in listening and spoken language.